SD-WAN: Saves time, increases reliability, & enables you to remotely configure & manage, while increasing your network’s performance. SD-WAN, known as Software Defined Wide-Area-Network allows a business to manage all of it’s data connections, traffic management and hardware for the entire company through a single software package. SD-WAN is transport agnostic and enables multiple network topologies and services to be used such as broadband cable internet access, DSL internet access, satellite internet access, cellular (wireless LTE or 5G), line-of-site, and MPLS (Mulitprotocol Label Switching) to provide the highest application stability. Having multiple connections helps ensure that in the event of an outage or even service degradation, other connections can be leveraged to keep the business running. Easily perform remote installations since the hardware can be remotely configured and sent to the location as “plug-n-play” for a branch or office manager to simply install which enables faster, less expensive network roll-out. 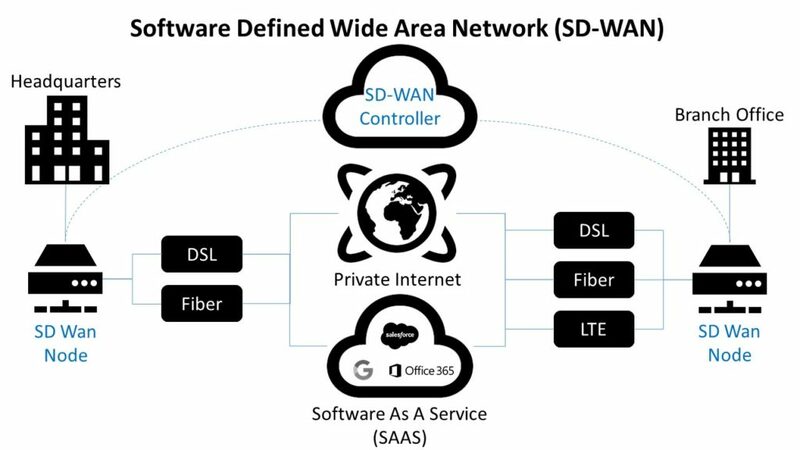 SD WAN typically utilizes different types of internet access to ensure optimization of all IT application needs such as UCaaS, SaaS, VoIP, email, etc (any application). 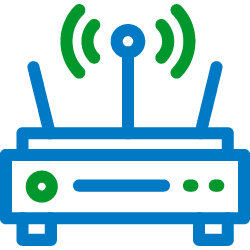 Using diverse internet circuits allow you to take advantage of public broadband alongside MPLS, instead of relying solely on expensive dual MPLS connections from multiple providers. This network architecture provides lower costs AND increased network performance. Leverages multiple circuits to the internet to provide optimal performance for each application. Analyzes the services and will provide charts of the performance at multiple layers. Analyzes the patterns and data traffic flows that each application may require. Helps IT manage the policies to help properly guide application flows. Optimizes the application traffic to the best path which delivers the best results for the branch location. SD-WAN software puts the power in your hands so that you’ll have less to manage and can better focus on high-priority projects rather than the latest IT “fire”. You’ll have the tools to simply track your priority services to ensure the best experience for your customers and employees which adds to the businesses bottom line. IT typically must travel to new sites for setup, programming and installation. Single outages (Hardware or circuits) take down connectivity to the site and stop normal business functions such as sales transaction processing. MPLS is more expensive than today’s broadband technologies due to increased price competition among providers. More difficult to manage and view application level status. Limited ability to redirect traffic flows if a circuit slows down and degrades. When deploying Microsoft Office 365, most businesses find that their legacy network design can introduce performance issues that can severely impact end-user employees productivity. For example, Office 365 can demand four-times the bandwidth as compared to on-premises Exchange servers. Actionable analytics a provided regarding the health and performance applications, circuits and networks drive the self-healing capabilities and also provide true visibility. SD-WAN provides encryption and increases data security for your network. Ability to monitor failures/errors, transaction times, fingerprints, CODEC’s, and MOS scores. We have over 180 carriers and service providers to help you deploy and manage an SD-WAN network while delivering great service to your internal team and valuable customers. For immediate service, or to schedule an initial consultation, please call or fill out the form below and an expert will contact you right away.